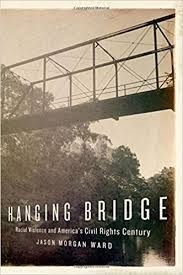 Today on The Blackman's Read Aloud Hour we will start reading "The Hanging Bridge, Racial Violence In America's Civil Rights Century". This is again sessions of one-hour chunks reading the real history of America. The history that was hidden in the darkest recesses of that vile closet of racial hatred and bigotry. It will be a very difficult book to read aloud but it must not be avoided. Our history needs to be understood because it is part and parcel of the history of these United States. You sacrifice so much when venturing down a closed path of American history. When that path is closed you can accept anyone words not fully knowing what the forests of historical misconceptions, historical lies, and historical misunderstandings blocked from the view of our peoples' reality. Again, I am not a purveyor of hatred or racism. I am simply sharing knowledge that should be shared, understood, and never forgotten. In these days of confusion, our history must shoulder the load to a deeper evaluation of American society. 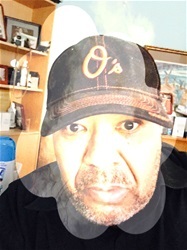 So that when someone says make America Great Again, you will and should cringe with an understanding of what American greatness meant for your black ancestors during the period that those who speak of Making America Great Again want to return too.